What happened after Judas Iscariot betrayed our Savior, Jesus Christ? Do the two accounts of Judas’ death contradict each other? The Bible gives two accounts of the death of the infamous betrayer Judas Iscariot. Some see these as contradictory stories of how Judas died. But a better explanation is that they are complementary. Each account contains information not in the other one, and when we put them together, they give a more complete story. Jesus had chosen Judas as one of His 12 closest disciples. Jesus knew who would betray Him, though the other disciples did not have a clue (John 13:21-22). Judas was even trusted with the “money box,” taking care of the finances for the group (verse 29). Perhaps the temptations of handling all the money got to him. The apostle John explains that when Mary anointed Jesus with a fragrant oil, Judas said, “Why was this fragrant oil not sold for three hundred denarii and given to the poor?” (John 12:5). 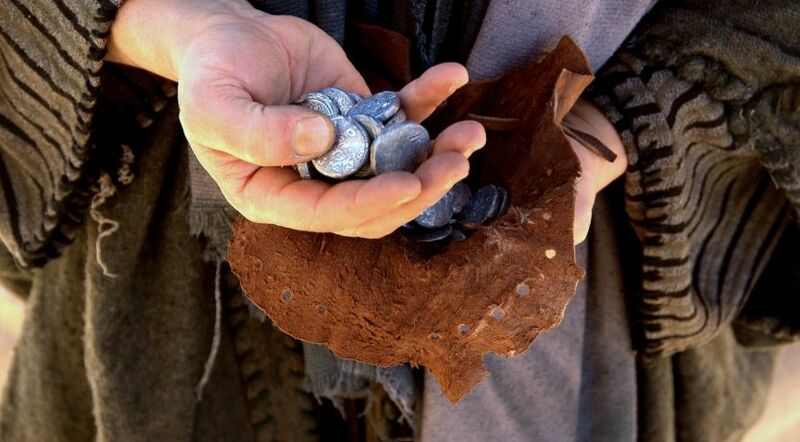 The other disciples were saying similar things (Matthew 26:8-9), but with the benefit of hindsight John adds, “This he said, not that he cared for the poor, but because he was a thief, and had the money box; and he used to take what was put in it” (John 12:6). Why did Judas betray Jesus? Perhaps the guilt of his thefts was making him more and more uncomfortable around this perfect Man. Perhaps his greed for more inspired his deal with the Jewish leaders. Perhaps he had grown disillusioned with Jesus because He was not leading the revolt against the Romans that Judas had been hoping for. Or perhaps it was a combination of these and other reasons. In any case Judas opened his mind to evil thoughts, and Satan took advantage of the opening. “Then Satan entered Judas, surnamed Iscariot, who was numbered among the twelve. So he went his way and conferred with the chief priests and captains, how he might betray Him to them. And they were glad, and agreed to give him money. So he promised and sought opportunity to betray Him to them in the absence of the multitude” (Luke 22:3-6). After leaving the Passover service where Jesus told Judas, “What you do, do quickly” (John 13:27), Judas then led Jesus’ enemies to the Garden of Gethsemane where He was praying. Late at night Judas “with a great multitude with swords and clubs, came from the chief priests and the elders. Now His betrayer had given them a signal, saying, ‘Whomever I kiss, He is the One; seize Him and lead Him away safely’” (Mark 14:43-44). What an evil plan! So imagine the impact when Jesus said to him, “Judas, are you betraying the Son of Man with a kiss?” (Luke 22:48). Perhaps Judas hadn’t thought things through. Perhaps he thought Jesus would escape or be imprisoned or punished in some less permanent way. Whatever he thought, when Judas realized Jesus had been condemned, he “was remorseful and brought back the thirty pieces of silver to the chief priests and elders, saying, ‘I have sinned by betraying innocent blood’” (Matthew 27:3-4). The chief priests and elders rejected Judas’ offer to return the money. His futile attempt to take it all back, to lessen his feelings of guilt, was thwarted. The full weight of his responsibility and shame hit him. “Then he threw down the pieces of silver in the temple and departed, and went and hanged himself” (verse 5). Who bought the field? Judas? Matthew continues by explaining that “the chief priests took the silver pieces and said, ‘It is not lawful to put them into the treasury, because they are the price of blood.’ And they consulted together and bought with them the potter’s field, to bury strangers in. Therefore that field has been called the Field of Blood to this day” (verses 6-8). However, the book of Acts says Judas “purchased a field with the wages of iniquity” (Acts 1:18). So who really bought the field? “Putting the two accounts together, it appears that the actual purchase transaction concerning the field was arranged by the chief priests. However, Judas bought the field in the sense that it was his money and they merely acted as his agents. He hanged himself on a tree in the cemetery” (William MacDonald, Believer’s Bible Commentary, 1995, p. 1580). Warning: the Bible gets graphic here. If Judas died by hanging, why does Acts say of Judas: “falling headlong, he burst open in the middle and all his entrails gushed out” (Acts 1:18)? “Conditions were right for what had started out as a mere suicide by hanging to turn into a grisly mutilation of the corpse as the branch gave way to the force of the wind and was hurtled down to the bottom” (New International Encyclopedia of Bible Difficulties, 1982, p. 344). Though the exact explanation is not given in the Bible, such speculations show that the two accounts do not have to be read as contradictions. When confronted with seeming contradictions in the Bible, the believer can dig deeper and consider the options that harmonize the passages. Through prayer, study and careful thought, Christians can strengthen their understanding of the accuracy and unity of Scripture. For more on this, see our booklet Is the Bible True? and the other articles in this section on apparent contradictions in the Bible. Learn More About How Do We Know the Bible Is True?